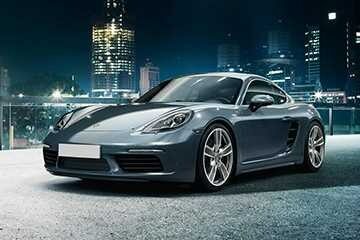 Porsche Cayenne is undoubtedly the best-selling model for the luxury car manufacturer. And very recently, the luxury car manufacturer has proudly rolled out the 100,000th Porsche Cayenne model celebrating its success world-wide for a customer in Brazil. The company has made an outrageous sales across the globe right from when the product was ever conceived and launched in 2002. 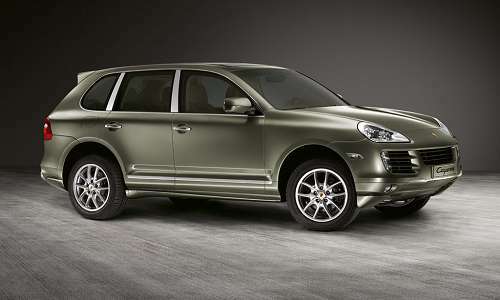 260,000 units is as many, the luxury car manufacturer has sold of its first generation Porsche Cayenne model, after which the luxury SUV undergone a transformation in 2010 to emerge out as the new Porsche Cayenne we see today. Housing the V8 petrol engine under the hood and to perfection to meet the customers’ demands with ample customisation, the new generation Porsche Cayenne is delivered to proffer just what the owner hopes to see of his cherished possession. Volkswagen’s luxury subsidiary now hopes to create an everlasting impression with the Porsche Cayenne bringing a compact version of its best-selling SUV. The Cajun is the name given by the auto major for the child version, where the name itself is enough to create a sensation in the global markets. However, Porsche might decide to develop it targeting the BMW X3 series and Land Rover Freelander 2 keeping the Indian car market scenario also on the sidelines, with a move that could literally turn around the image of Porsche in India. Ideally, the Porsche Cajun is meant to be developed internationally at the LeipZig plant where the parent model Porsche Cayenne is also developed. While all the same there is a doubt lurking from behind that going forward, could the Porsche India shift the development of the parent and the child models together observing the Porsche Cayenne sales in India on a rise.